The purpose of our Business Management and Operations Trends 2016 survey is to identify the upcoming hot business management trends and themes in 2016, as well as some striking initiatives of the global operating companies across several industries. WGA conducted the Business Management and Operations Trends survey between October 1 and November 15, 2015, in which we had a total of 1195 responders to our Business Management and Operations Trends survey. Participants of the Business Management and Operations Trends survey were executive officers and vice presidents of publicly traded companies, operating in the United States. The majority of the companies were publically traded with a >$50B market capitalization. What we identified from analyzing the 2016 Business Trends results was the consensus on the need to focus on customer relationship management in 2016. In order to retain or increase their customers and protect, build and grow their brand equity, 88% of respondents noted that companies have customer relationship management on the top of their list for 2016. Another striking theme is that 93% of respondents noted that employee engagement, which many noted as the importance of employees to feel safe in their position, well trained, passionate and satisfied with their current position and prospects for the future. Last but not least, companies must identify objectives, define a strategy, design a plan, and set goals required to achieve success and grow. Therefore it is not to wonder why 92% of the executives said that strategic planning is a hot theme for 2016. Especially now that companies are trying to grow and expand globally, taking advantage of emerging/ niche markets or targeting additional audiences. 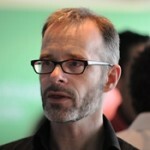 It is important to underline, however, the strategy disconnect that was identified in the survey results. 8 out of 10 executives are satisfied with their strategic planning, believe they have mechanisms to easily adapt to changes or unexpected events, but only 1 out of 10 gives importance to scenario and contingency planning. Additionally, only 8% of the executives that responded to the 2016 Business Trends survey believed that disruptive innovations represent a threat to their organizations. 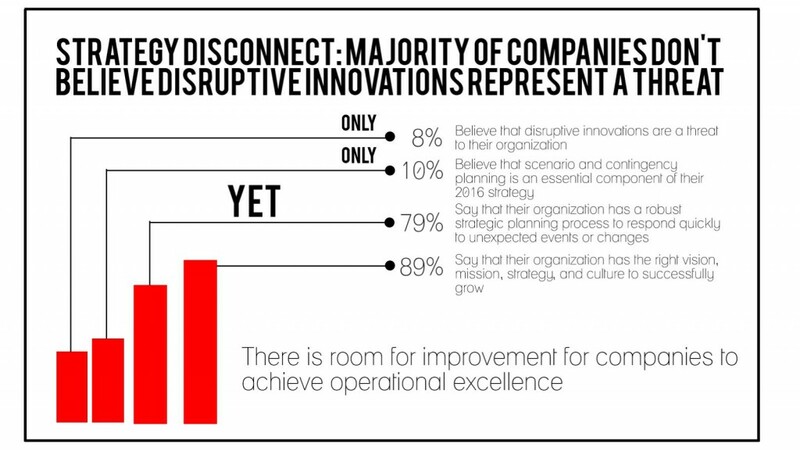 Clearly, executives are underestimating the impact and growing momentum of disruptive innovations (e.g. Tesla, SpaceX, Bloom Energy, Moderna Therapeutics, Palantir). What we noticed from looking at the hot themes in 2016 was the consensus of most of the participants about the turn to customer relationship management, in order to retain or increase their customers and protect, build or retain their brand equity, 88% claim this theme is on the top of their list for 2016. Proceeding, another striking theme by 93% was employee engagement, a focus on employees feeling safe, are well trained and satisfied they are more productive/efficient. Last but not least, companies have to have set goals, define a strategy and plan before they take action to be successful. 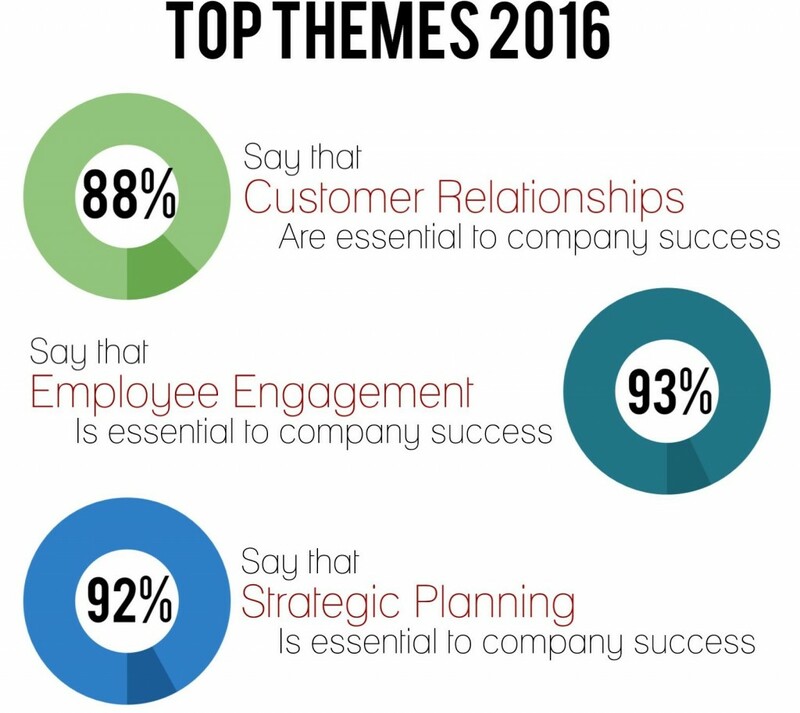 As a result, 92% of the executives surveyed said that strategic planning is a hot theme for 2016. Especially now that companies are trying to grow and expand globally, taking advantage of emerging / niche markets or targeting additional audiences, strategy acts like a compass that shows the way. However, what is important to underline is the strategy disconnect that was identified in the survey results. 8 out of 10 executives are satisfied with their strategic planning, believe they have mechanisms to easily adapt to changes or unexpected events, but only 1 out of 10 gives importance to scenario and contingency planning. 2016 is the year to actually focus on alternative plans in case of adversities in order to assure a prolonged success for organizations. Posted in 2016 Trends, Strategy and tagged 2016 business management trends, 2016 business trends, 2016 management trends, 2016 operations trends.